fifty-five is strengthening its analysis and reporting capability using Tableau Software. 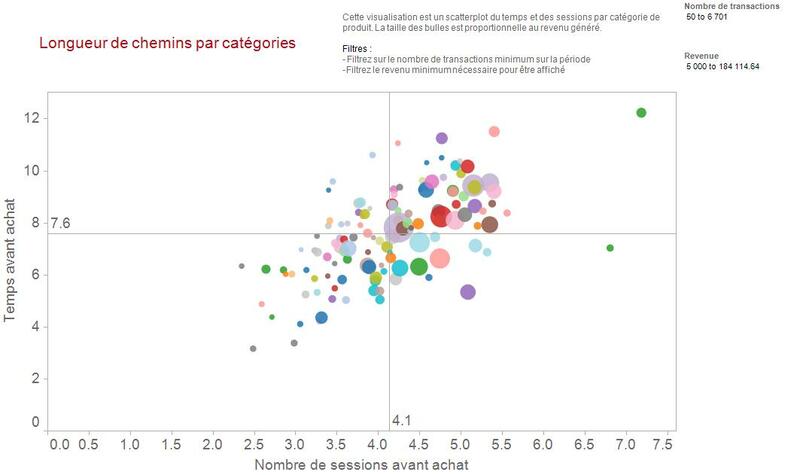 The French agency specializing in data and analytics for marketing uses Tableau to analyze millions of rows of client data. Tableau’s real-time, easy to use visual analysis provides unprecedented insight for clients. Analysis of the data shows how to increase the buying rate per visit, fine-tune the user experience, and optimize internet strategies for major advertisers. fifty-five’s expertise allows clients to improve site navigation and optimize media buying. The collection, refinement, and use of behavioral data is managed by a team of around forty consultants who are specialists in data, analytics and statistics, and software engineering. Thanks to its ease of processing large volumes of data, Tableau has become the cornerstone of fifty-five’s analysis. Up to five million rows of visitor behavior data is collected on fifty-five’s databases every day, so much so that it has developed its own technology for storing raw data. “Without Tableau, which allows us to connect directly to our data, we would not be able to analyze this volume of data. A traditional tool like Excel limits us to one million rows.” Daniel explains. 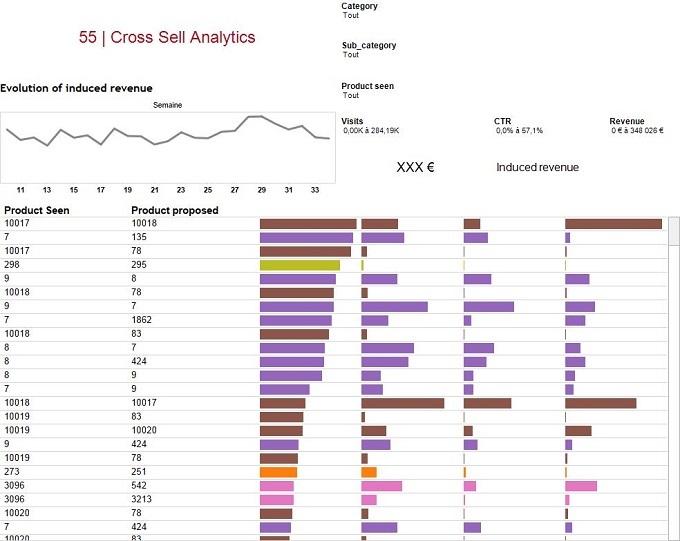 fifty-five can create multi-touchpoint analyses in Tableau. By analyzing data, fifty-five is able to track all advertising touchpoints prior to a transaction via multiple digital channels (known as multi-touchpoint analysis). Tableau quickly and easily displays the results in graphical format that makes it simple to understand. For example, each product category on an e-commerce website is represented by a color bubble proportional to the revenue generated, while its position in the graphic depends on the number of visits and time taken before a purchase is made. This analysis and reporting is used by fifty-five to automate numerous reports which used to be very time-consuming to produce manually, which was diminishing their value. Tableau is a game-changer, because it strengthens fifty-five’s technological capability and our expertise in analytics and big data. This visual data analysis provides users with an intuitive understanding of the strengths and weaknesses of the customer journey on an e-commerce website. Moreover, rapid access to the results helps to improve the online purchase rate per visit and the user experience. Tableau is also helping fifty-five’s clients to optimize the return on investment from online advertising campaigns through a global view of performance of all channels (search, compare, display) and buy-side media based on rigorous analysis. We don’t just have to take fifty-five’s word for how successful the strategy is. Following a 45 day test on almost 700,000 visits, the Lacoste sport brand’s website increased its purchase rate by 28 percent. The Pimkie and Smartbox brand websites improved completion rates by 20 and 10 percent respectively. The Yellow Pages group increased its click rate from transactional links by 20 percent and its overall click rate by 26 percent. Finally the Seloger.com website saw its leads increase by up to 23 percent. “Every day we produce analyses and recommendations that are based on Tableau. Tableau is a game-changer, because it strengthens fifty-five’s technological capability and our expertise in analytics and big data.” concludes Martin Daniel.